Maintains a high level of quality control through in-line print quality inspections. The PQA Series is a quality control system that checks for printing problems such as scumming, ink splashes, color variations, and so on. Previously, the operator was required to check for these items visually by regularly sampling printed sheets. However, these systems inspect all sheets in-line on the press according to the same assessment criteria to ensure high-level print quality control. If a defective sheet is found, the operator is immediately notified and defective sheets are prevented from being sent to postpress with the production sheets. The PQA Series in the system that symbolizes Komori’s Autopilot. Komori proprietary software reduces false detections due to changes in the sheet position, further enhancing detection accuracy. Different levels of inspection can be set for specific areas of the sheet, hence enabling highly accurate inspection for crucial points. There are also models that have color control functionality and automatic register adjustment as well as quality inspection for various printing fields and requirements. 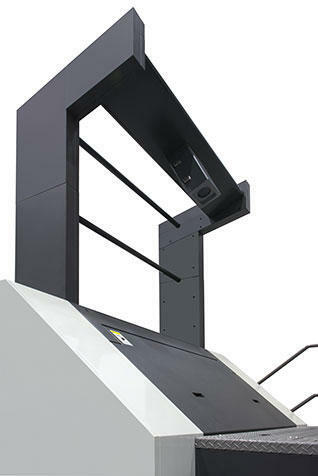 This model provides stable color and reduced paper waste by in-line color measurement and feedback to press. Developed to link with KHS-AI and be easy to operate. The adoption of cutting-edge technologies reduces issues that are unique to web offset presses, such as false detections caused by curving or expansion/contraction of the web, and ensures highefficiency detection. The PQA-W combines Komori's technical capabilities. The PQA-W SG with specialized color control is also available as an option.